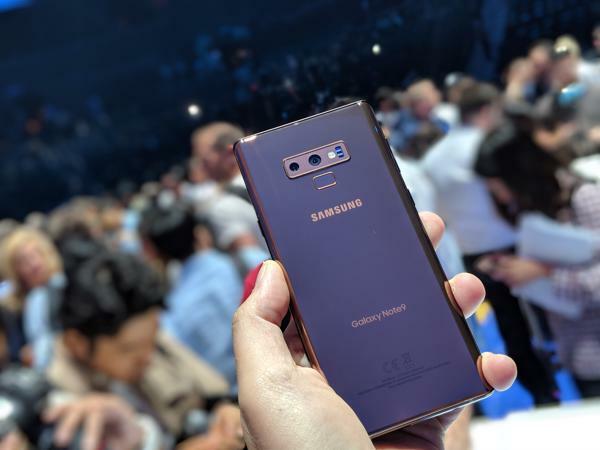 Brooklyn, NY – Samsung took over the cavernous Barclay’s Center in downtown Brooklyn, to showcase its latest flagship smartphone. The company also uneiled the new Galaxy Watch, an LTE-connected smartwatch that looks like a premium timepiece and features multi-day fitness tracking, apps and notifications. Samsung also unveiled a the first AI-powered Bixby speaker, the Galaxy Home. 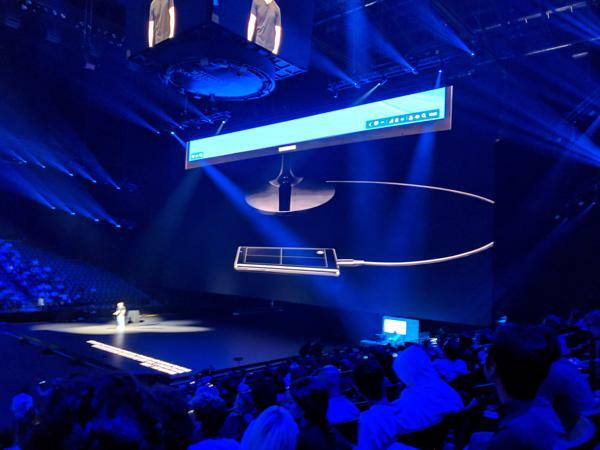 The highlight of the event, which mixed a great degree of stagecraft with audience participation (all attendees were given LED bracelets, which lit up in unison to complement the lights and music), was the Note 9. The Galaxy Note 9 doesn’t seem like much of a departure from last-year’s Note 8 but the device did bring considerable new features. 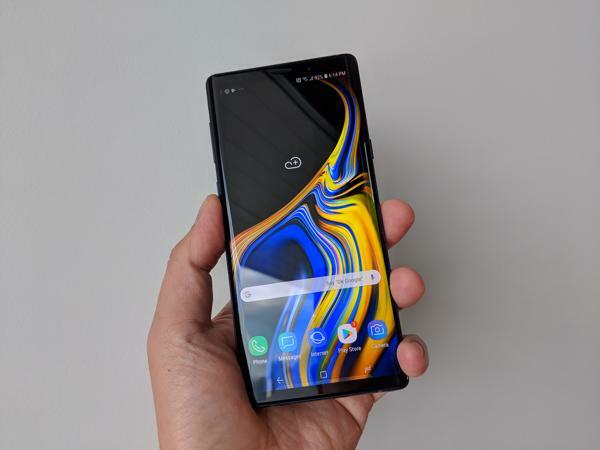 We’re seeing a trend where smartphone makers have found a comfortable reference desigm and are looking to iterate on performance, camera and additonal functionality over daring new designs. With the Galaxy Note 9 , the impressive 6.4-inch Infinity Display is the largest Samsung has shipped. The Note has always had the advantage of the S Pen stylus, and this year the accessory can be used for up to 30 feet away to take selfies, control slideshows, play and pause music as well as trigger various apps and functions. Another hallmark feature of the Note line has been the battery. Recalling that it wasn’t too long ago that upgrades in battery technology for the Note 7 caused Samsung unprecedented losses and bad publicity as the phones ignited and caused fires. The Note 7, and by extension many other Samsung devices, were often banned or confiscated by airlines due to the issue. The Note 9 features the largest battery Samsung has shipped, a whopping 4,000 mAh battery that should power their mammoth device way beyond two days, even with heavy usage. It seems Samsung has finally been able to put in a large battery in a device and done so safely. The Note 9 also features built-in DeX functionality. DeX is short for Desktop Experience which used to require an accessory dock to ostensibly enable a desktop PC experience complete with windows and a more productivity-focused experience. Using DeX, the Note 9 can plug into any HDMI-enabled monitor, keyboard and mouse and work on Microsoft Office mobile documents and web-based applications. DeX doesn’t have very many compatible apps at is its basically a re-skinning of the desktop. For anyone who’d rather carry their documents and spreadsheets in their pockets and work on them on a desktop, Samsung’s Note 9 and the recently launched Tab S4 are the only products that ship with the feature and do not require a dock attachment. Cameras are another hot feature and Samsung delivers with the same dual 12-megapixel camera array seen on the Samsung Galaxy 9+, but this time around, the company has added improved AI or artificial intelligence, to use the phone’s computational power. 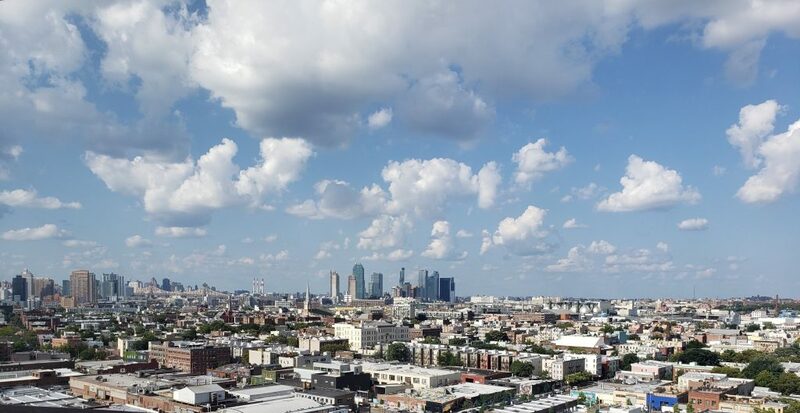 AI helps tweak settings for optimal photo quality depending on the scene and lighting. In my limited testing, I found the Galaxy Note 9 has the best low-light performance of any recent smartphone. It is also very accyurate in terms of colour and reproduction. On a final note, the Note 9 is available with 128 GB of storage and also features 512 GB of storage, which is more than most premium laptops out there. It still features microSD expansion so it can theoretically hold up to 1 terabyte of storage, an unprecedented amount of storage in a pocketable mobile device. “The opportunity to make the world’s most advanced smartphone more powerful, even more innovative… I can’t wait to see how you use it in ways we never even imagined, to achieve more than we ever thought possible,” said JD Koh, Samsung Mobile chief executive. In Canada, Galaxy Note 9 will be offered in Midnight Black with matching S Pen and in Ocean Blue with a yellow S Pen. At launch, the Note 9 will be available for $1,299.99 (MSRP) for the 128GB option and $1,629.99 (MSRP) for the 512GB model. 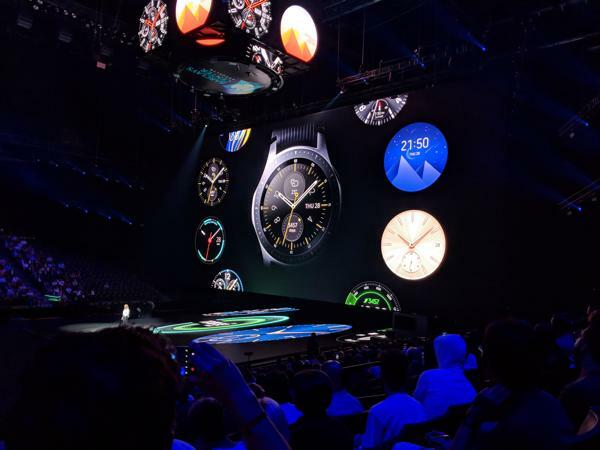 A new Galaxy Watch was also launched at the event and features a sporty round design with a smart bezel used to navigate the touchscreen. The Galaxy Watch has access to thousands of watchfaces, it interacts with the Bixby smart assistant and can also work independently from a smartphone with some LTE-enabled models. The Galaxy Watch runs on Samsung’s own Tizen OS, which makes it one of the products that the company can control top to bottom. 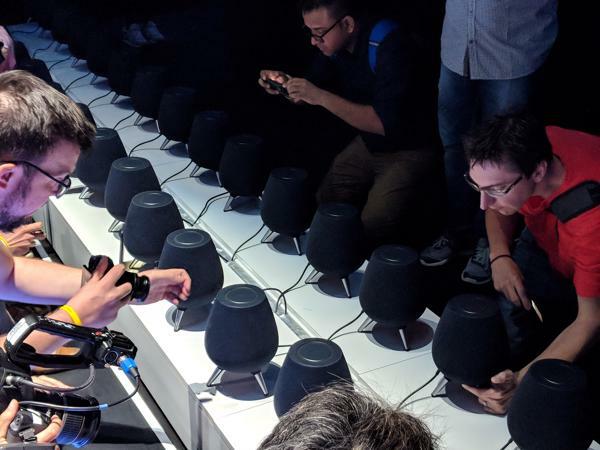 Samsung also pulled a smart speaker out of its hat. The Galaxy Home is a hi-fi focused speaker that runs off Samsung’s Bixby smart assistant. This adds a fourth platform for smart speakers behind Amazon Alexa, Google Home, Apple Siri and now, Samsung Bixby. The Bixby speaker is still expected to come out next year, it isn’t known what the advantage of choosing Samsung over established players is and pricing was also not discussed. Samsung did announce a partnership with leading music streaming service Spotify, which now pits it directly against rival Apple who owns Apple Music. One of the biggest announcements at the event was the arrival of the Fortnite video game on Android as a Samsung exclusive, albeit for three short days. Proving that Samsung is focusing on its strengths ut open and willing to partner with companies who specialize in areas it may be lacking in. Fortnite is a massive multiplayer game that can be played on various devices, Samsung getting them on their platform first punctuates how influential it is as the world’s largest smartphone maker. Thanks for publishing the such trending technology news and happening in short span of time. I like the most the smarter Galaxy Watch and Smart Speaker. Now its Samsung Bixby time. Vey nice article thanks alot.